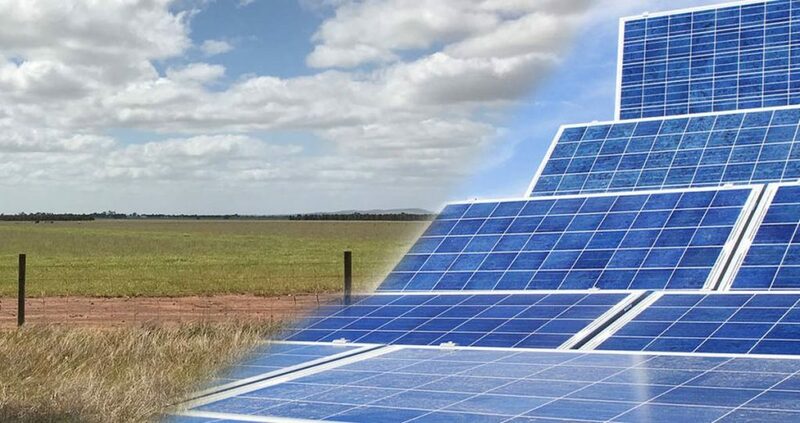 Victoria’s Central Goldfields Shire Council has granted a planning permit for the Carisbrook Solar Farm project, which will incorporate energy storage. The clean power station is proposed for a 300-hectare site located approximately six kilometres east of the township of Carisbrook, which is around 67 kilometres from Bendigo by road. The 90MW facility is to feature a quarter of a million solar panels mounted on single axis trackers and will generate 150,000 gigawatt-hours of electricity each year according to developer Ib Vogt. That doesn’t seem correct – perhaps the company meant 150,000 megawatt-hours (150 gigawatt-hours). The solar farm will connect to the mains grid via an existing 66kv transmission line running along the western edge of the site. Around 240 jobs are expected to be created during the construction phase, which is expected to last 9 months according to Council (12 – 14 months according to Ib Vogt). The company says 60 per cent of the workers required will be from the local area. Central Goldfields Shire Chief Administrator Noel Harvey commented that granting the planning permit was a difficult decision as there were concerns over the impact to farming properties and houses within the area. The site is currently used for cropping and grazing activities and Ib Vogt says assuming the project goes ahead, sheep will be able to graze among the solar arrays. The estimated cost of the development is $110 million and the solar farm has an expected service life of 25 to 35 years. Germany-headquartered Ib Vogt says it has been involved with solar energy developments since 2002 and has developed or constructed over 900MW of projects in Europe and Asia. Carisbrook won’t be its first solar farm in Australia – that was the 11.1 MWp plant at Williamsdale in the ACT, which was energised in November 2016. Judging by the firm’s portfolio page, the Carisbrook project could be its biggest PV facility to date and the company states it has a pipeline of other PV projects in Australia. With 90 megawatts at $110 million that means the single axis tracker solar farm will cost $1.22 a watt. That’s not bad but other countries are doing it cheaper so we still have room to catch up on solar farm costs. more for almost exactly 150 megawatt-hours a year. UPDATE: That should be gigawatt-hours not megawatt-hours, as Scott correctly and kindly pointed out below. Michael’s correction above sounds like the right order of magnitude, anyhoo. Oops! Yes, thanks for pointing that out. I don’t know if I make the mistake because I’m so used to working with kilowatts of solar or just accidentally dropped a few zeros. I have added an update to my original comment. Would you expect upgrading from fixed racking to trackers would add more than 19% to the cost? I have to imagine that the presence of trackers introduces an extra level of complexity in maintenance, incurring a lifetime of extra costs. Widening the period of peak generation may be a selling point, though this would diminish with widespread energy storage and / or more diversity of supply…? That’s a good question. I’d have to look into it to be sure but as most solar farms in Australia use single access tracking it definitely pays for itself. Electricity is on average more valuable in the early morning and late afternoon and so that’s a major factor in making trackers worthwhile. If energy storage because cheap enough trackers won’t be needed but I don’t think it will become that cheap. Not any time soon. 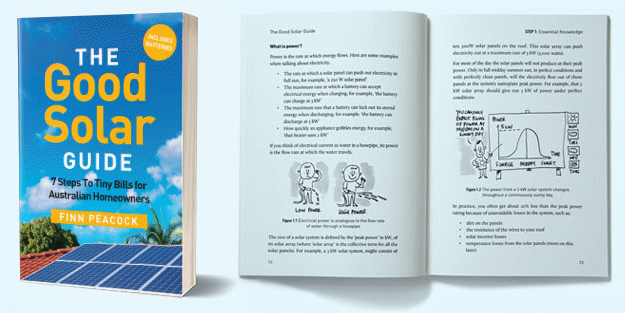 There shouldn’t be any need for solar farms to be required to orientate their panels in a particular way. Wholesale electricity prices should be enough. But if there had been an incentive for west facing solar panels on rooftops it would have helped with grid management by providing more power late in the afternoon on hot summer days. We little people don’t get paid the same high rates as big generators during peak demand where the wholesale prices are higher. Are massive solar farms eligible to sell at those tremendous prices? If so it wouldn’t surprise me that some clever solar megafarmers have done the maths and chosen an optimum orientation for exactly that reason. Which, by the way, would be perfectly fine and very clever indeed. Trackers are mentioned. Do you have any articles/links on trackers and/or tracker technology?